Here in ODM everyone who joins the team receives a mug and we are sure not to be the only mug lovers and heavy coffee-drinkers. We are in fact convinced that many other workers would love to receive such corporate gift, as a travel mug. In the photo you can see three different models of mugs. Form the top to the bottom, we find some colourful, cup shaped thermos. In the second row some more simple and smart designs. A similar silver cup shaped model in the back and a smaller one with coloured cap in the front. At the bottom, we also can glimpse a bottle shaped design in different colours. 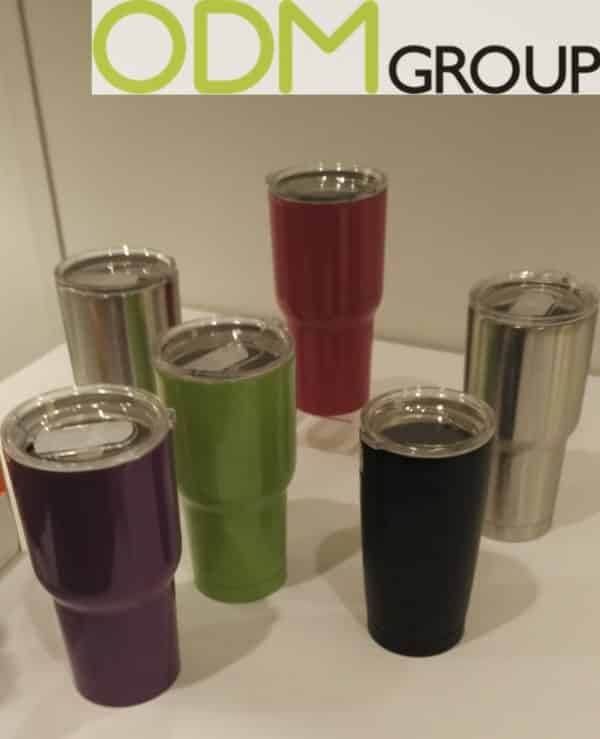 This could be an excellent idea for the overall design and branding of the corporate gift, otherwise, the stainless steel travel mugs can be customized according to clients’ requests. Here is a photo of how the travel mugs would look like without any personalisation. Stainless steel allows them to be able to keep the temperature of the liquid for hours. How would you benefit from a stainless steel travel mug as corporate gift? Design and customisation: Look at the photos here above once again, the travel mugs are excellent items for branding. On the cap, on the side, on the bottom or wherever you would like to print your logo. To target different groups, you can also ask for them to be produced in different colours, shapes and sizes. Customer retention: This corporate gift, is ideal for office workers and not only. When working in front of the pc, sitting all day in the cold or outside with the hot heat, we bet everyone would love to have their hot coffee or cold tea at hand. It is something not necessary yet, but you can make it become one. So that your clients will bring it with them every day and create a bond with your promo product and therefore your brand. Brand exposure: Your customers will probably sipping it while going to work, exhibiting it on the desk at work and using it for outdoor activities. 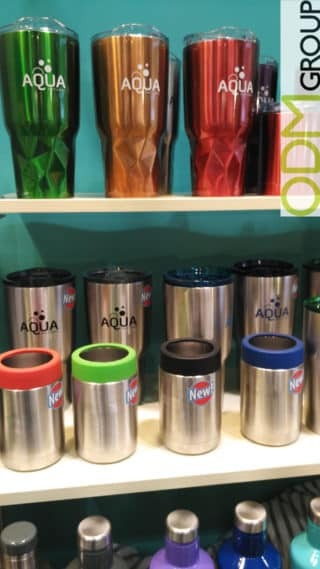 With a visible logo on the stainless steel mug, there will be plenty of opportunities for your brand to be advertised.